We are very pleased with the caregivers we have worked with. Victoria (from the office) has been wonderful to work with and very flexible. They've sent me a couple of people who are doing a real good job. This helps me a lot. They help with personal care, home cleaning, and all the things they are allowed to do. A couple of the girls who have come over here are doing a real good job! They didn't always do what I needed them to do for me. They keep my apartment clean and fix my breakfast. I have a very good caregiver who is always on time, and they are very good at what they do. It makes a huge a difference. They provide care for my husband so I don't have to worry when there is something I need to go do. The main office has excellent communication. They come and take care of him and shower him, and I appreciate that. I like that they are very hands on and cooperative. They help the most by being there and being kind to my loved one. The caregivers could be more attentive to needs. The administration and those that call and make appointments are wonderful. The primary objective for us was to have some assistance with the laundry, and they have done an excellent job with that. It is easy to coordinate schedules, and the quality of the people that come over is good. They need to train their people before they come out. When I first got them, I didn't like them. The services come and do my cleaning for me twice a month. They got a little attitude with my daughter on the phone. Right at Home Maumee/Perrysburg has assisted me with my father for over two years. Over the course of this time, they have provided me three angels to watch over my dad, whether he was in the hospital, in rehab, in assisted living, or at home. These wonderful women have kept Dad's home (and laundry) tidy, fetched medications and sundries at the store, been my eyes and ears when I am out of town, and, most of all, have been companions to Dad. Each of them has always arrived on time and been faithful to the arranged schedule. My family has been so blessed by each of them and their particular talents and personalities. All of them have demonstrated an unexpected level of caring and creativity, bringing joy and wonder to Dad during an otherwise depressing and somewhat helpless phase of his life. Our last aide checked on my father in the hospital and at the nursing home during her off-hours because she wanted to make sure he was ok. The woman helping us now goes fishing with Dad, something he has not done in years. <3 John and Chantelle have gone above and beyond to listen to our needs, to find perfect personality pairings, and to fill complicated schedule demands. They have never let me down. My wife passed away three months ago, and I was totally at a loss. I have children, but they hove their own jobs. I was getting out of control. Right at Home was a godsend because they organize my medications and take me to my doctor appointments. There is emotional support. The director came out to my house a week ago, and he was a nice guy. They keep asking me if the girl they sent me needs to be switched out. She doesn't because she stays busy and cleans well. He needs someone who can control him. They just tell him to take a shower and make him do it. They do not watch my loved one when he is in the shower, which scares me because he is weak. They are really good, but sometimes they don't come in and do the laundry and leave it there. They can take care of the cleaning and the mopping and everything. The caregiver has been a very good help, because we are not getting any younger. Right at Home been very good at helping me get in and out of the tub for a shower and also doing some dishes, sweeping, and other cleaning. It seems to be fine. She's happy with them coming and giving her a shower. I can't provide the care for her. I don't really have much of a complaint. I don't live there, but it seems like everything is fine. Right at Home is okay. I like them or I wouldn't be with them. They have made life easier by doing bed baths for me. It gives me some relief and time to do things. I appreciate everything they do. It is nice to have someone help him into the shower because my husband is tall. I am always afraid that he is going to fall because he is so tall. The caregiver is so good at playing games and doing things with my husband. I am pleased with Right at Home's services. I don't have to do much anymore. I don't have to do the laundry, the housework, or the grocery shopping. The help that they send is exceptional. They are very caring people, and they like to help people. They like making friends with me instead of just doing the job. They have a personal touch that makes me feel like I have someone to call if I need something. My substitute right now is excellent. She is reliable, on time, congenial, and she understands the job. I can count on them to be there to work with me. They have reliability, which doesn't happen often. The owner, John Baldwin, is understanding as well. Right at Home was very helpful because they were flexible. The services from Right at Home allowed me to do other work and feel comfortable with the caregivers taking care of my loved one. I would tell a friend that Right at Home provides caregivers who are helpful and pleasant. Right at Home has made life easier by vacuuming for me because I have arthritis. Right at Home's caregivers are pretty good. Right at Home helps me accomplish things I need to get done. We engaged Right at Home shortly after my father moved to assisted living. With all of us living out of town, we needed some extra back-up help. RAH has provided excellent service to dad: transportation to medical appointments, bi-weekly shopping for personal items, etc. The staff in the RAH office has been highly professional and responsive in all our dealings with them. RAH has assigned a regular caregiver to dad for these errands, and he has a good and trusting relationship with her. I highly recommend RAH Perrysburg. Right at Home is trustworthy and does good work. Right at Home makes my meals for me and cleans. They do whatever I need. I selected Right at Home after what I think was a thorough search, interviews of staff and visitations of their business locations. Also the BBB has no complaints registered which supported my own conclusions. After several months now of care in our home, the professionalism of our care giver and the follow up by the owner, I am convinced that I made the best decision. I recommend Right at Home in the most positive manner. We need Right at Home to send the invoice to our insurance company. Right at Home could expedite how the invoice is handled. Right at Home could send the same person more often. I would recommend Right at Home to many people because they are on time. Right at Home has made my life easier because I needed someone to be with me all the time. I would tell a friend about everything I know regarding Right at Home. I would rather have the caregivers for two hours a day, as opposed to three. Right at Home is professional, skilled, and caring. Right at Home keeps me active, alert, and mindful of what I am doing and when I have to do it. Right at Home is very handy to have and has very nice people that do a good job. Right at Home has taken a lot of load off of my feet by sweeping my floor and dusting and are very friendly as well. I am beyond impressed with the excellent service I have been receiving for my father since fall of 2016. Not only is the staff incredible, the health aides always go above and beyond in their duties around the home and caring for my father. They always strive to maintain good communication and what impressed the most are two things: (1) The owner, has come out twice now to just visit with my dad, which makes his day and (2) I have never seen a home health care with an A+ rating & 100% customer satisfaction! That speak volumes to me plus the fact their prices are reasonable, the training is exceptional and I feel completely secure knowing that my dad is in good hands when I need to leave for a few hours. They LISTEN to you and will bend over backwards to help you any way they can.....Jeanette S.
My experience with Right at Home was very good. We hired a caregiver to go to my Grandmother's room in her senior care center to help her with lunch, read to her, and simply be company for her. We live out of state, so having a person there to provide companionship was important. The caregiver was prompt, knowledgeable, and attentive. She read books to my grandmother, read her mail, and she listened as my grandmother told her stories of her life. The company President also makes rounds to ensure that the service is up to the quality he wants, and visited my grandmother on a couple of occasions. The service provided by this company is very very good, and it looks like they have the checks and balances in place to continue with a high quality job. For over 2 years Right at Home of Perrysburg, Ohio has provided home and health care assistance for my wife Angela K. We are very satisfied with the home and health care aide. People & long time aides are the best. Right at Home was referred to us by another home care provider when they were unable to provide in-home services to my parents. Right at Home staff - office and caregivers - were just what we needed. The office personnel were attentive to our questions and responding to changes in service-sometimes with short notice. The caregivers were ready and waiting to do whatever my parents asked of them, from food preparation, cleaning, transportation, organizing and packing for a move, hygiene assistance, or companionship. At most, there were ~8 different caregivers over a period of 3 months so my parents got to know each caregiver and her strengths. Some were more self-motivated than others, some better in the kitchen, some more effortlessly intuned to my parents, and some better conversationalists. All were respectful, kind, and not a security concern. Early on in our relationship we received a glitch in communication as well as a caregiver who did not arrive as scheduled. Both errors were never repeated. There was a personality conflict between one of the caregivers and one of my parents. We asked that she not return and this was accommodated without issue. I would recommend Right at Home for in-home assistance. Friendly service by owner and aide. Our experience with this client is good - the workers he has provided us have been excellent in their care and regularity. John cares for his clients and aides. I appreciate that his aides get trained. He chooses aides that match the personality of the client. 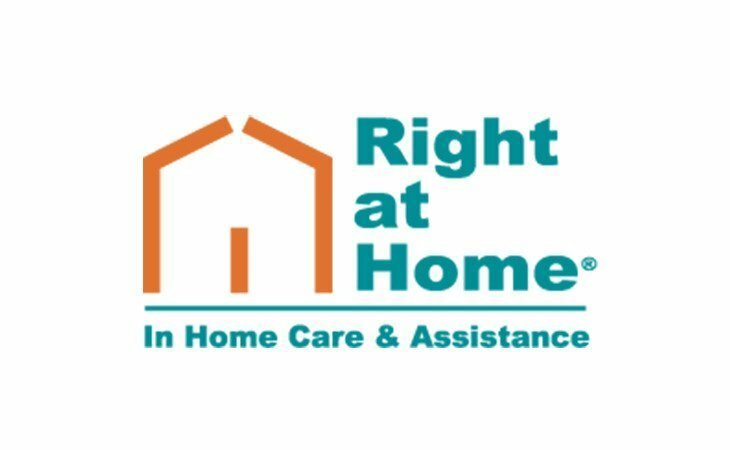 What should caregivers and potential clients know about Right at Home Maumee?